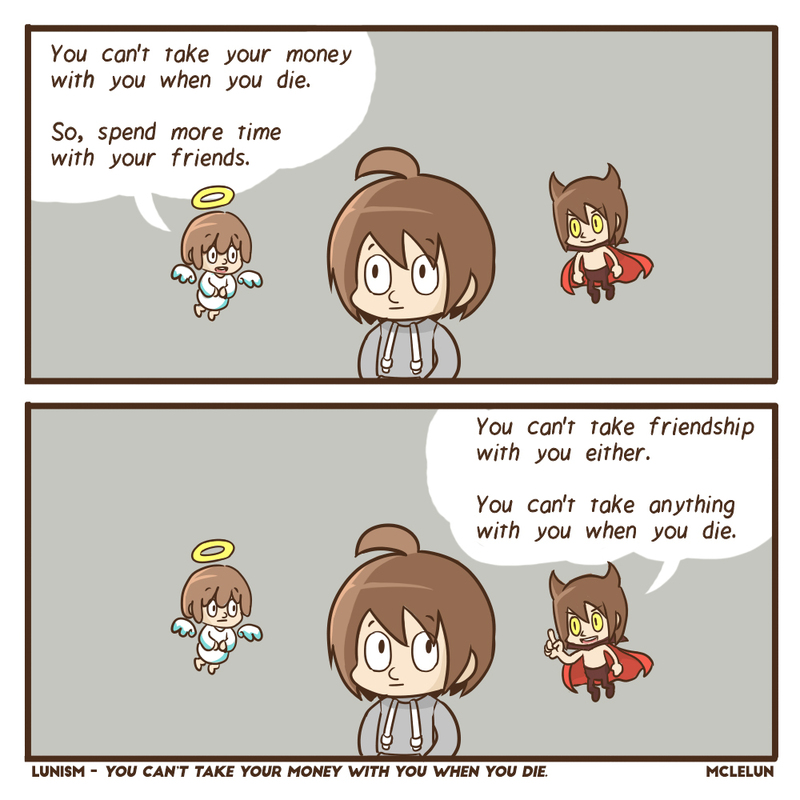 You can't take your money with you when you die. So spend more time with your friends and families. Actually we can't take friendship with us either.